We were saddened to learn of the passing of Carrie Lester, a dear MISN ally and incredible community organizer. Carrie was an Indigenous rights, anti-nuke, environmental protection, and anti-poverty activist. 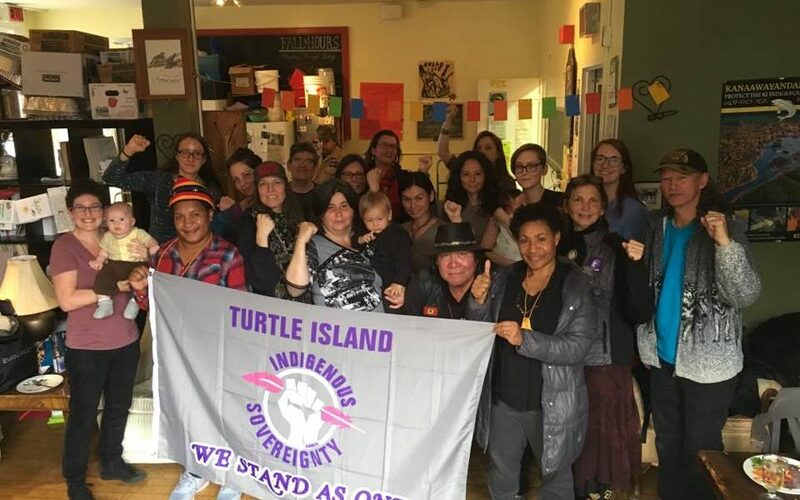 She was instrumental in the Idle No More movement, and most recently in the months-long vigil she and other incredible women (Sigrid Kneve and Sue Lynn Manone Cornfoot) held outside the Indigenous and Northern Affairs Canada office in Toronto. We want to thank her for all she has given to MISN over the years, from helping us to welcome visiting folks from impacted communities to generously opening many of our events by situating our conversations in relationship to the land and long histories of Indigenous lives and resistance. We will always remember the moments we shared together in struggle and in friendship. Toronto is a different place without Carrie Lester and the resonance of her life and work will remain with us. Rest in power.